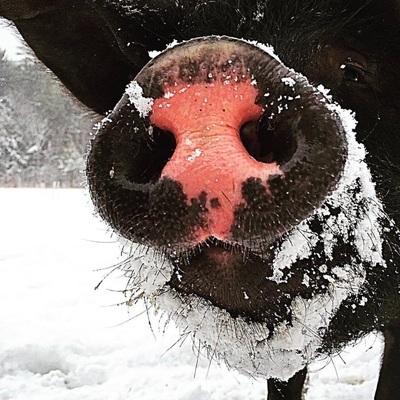 Enjoy a variety of our delicious and sustainably-raised GMO-free heritage pork, grass-fed beef and lamb, and organic pastured poultry while supporting locally-raised meats. Meat Shares are available in two sizes for three, six, and twelve-month periods. Share sizes are based on pounds per month. Payment is due by the start of the subscription. Monthly pick-ups are at our farm in Norwich, VT. Monthly shares are pre-assembled by our farm and will include approximately half ground (and sausage) and half higher-end cuts such as roasts and chops, in frozen “cryovac” packages. The meats included in the share reflect what is available on the farm at that particular month and cannot be customized. 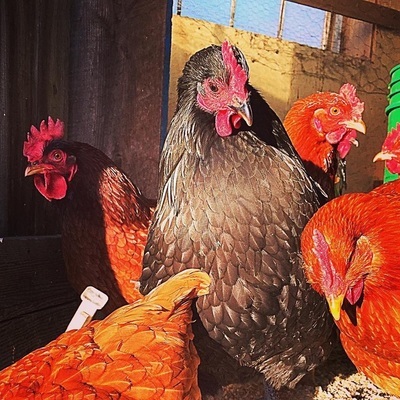 Subscriptions also include a monthly newsletter with farm news and recipe ideas. Please call or email to subscribe for more information! Flavorful pork from heritage-breed hogs raised on organic pasture and GMO-free grain without hormones or antibiotics. Available as frozen USDA-inspected individual vacuum-packaged cut, or by the whole- or half-custom cut to your specifications. Call or email for availability and pricing for individual cuts. Pasture Pork Sampler: A 20lb. 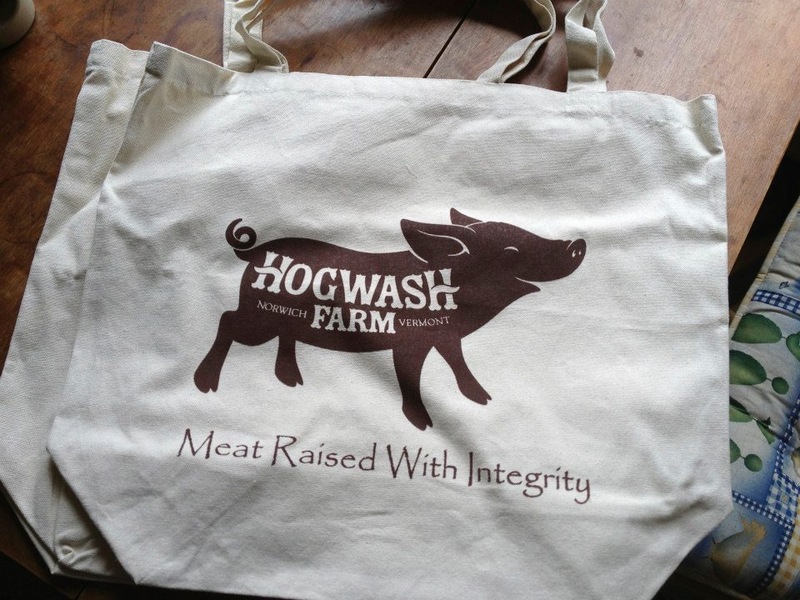 assortment of our delicious heritage pork w/ Hogwash canvas bag. Perfect if you don’t have lots of freezer space! ​Custom Hogs: Pork custom-cut to your specifications. Includes all processing. Wrapped and ready for the freezer. 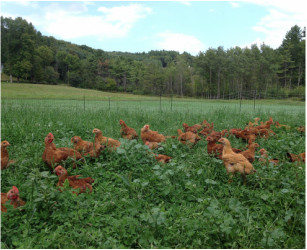 Fresh eggs from happy, pasture-roaming hens fed organic, soy free grain. 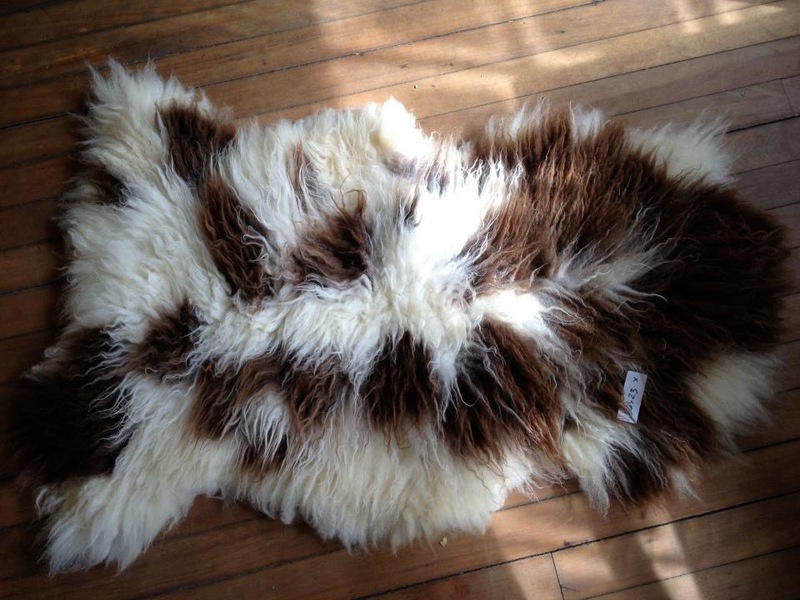 Sheepskins from Hogwash Farm lambs. Machine washable and oh-so-soft! Every one is different. They make great baby shower gifts and unique presents for the person who has everything! Delicious beef from 100% organically grass-fed and finished Belted Galloway cattle. 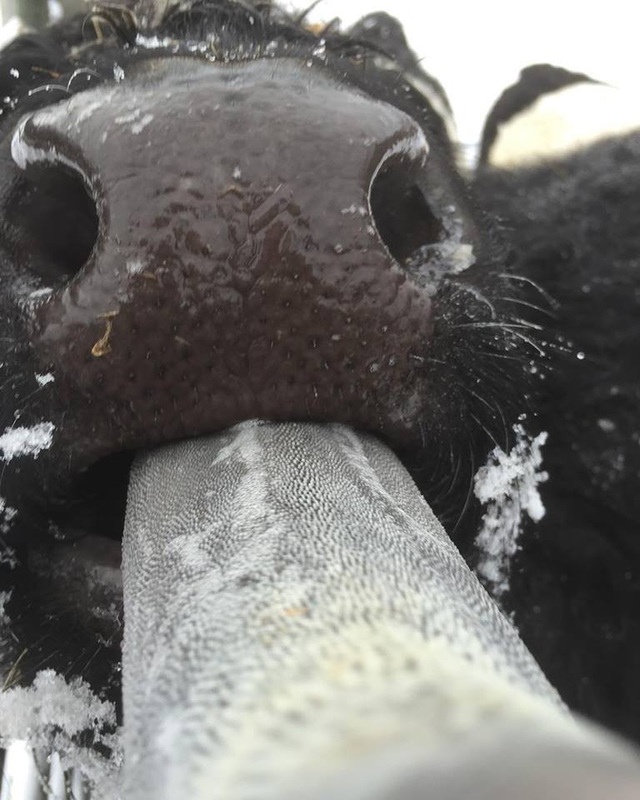 “Beltie” beef has low saturated fat content with a high ratio of Omega 6 to Omega 3 (beneficial lineolic and linolenic acids). Available by the frozen USDA-inspected individual vacuum-packaged cut, or by the whole- or half-custom cut to your specifications. 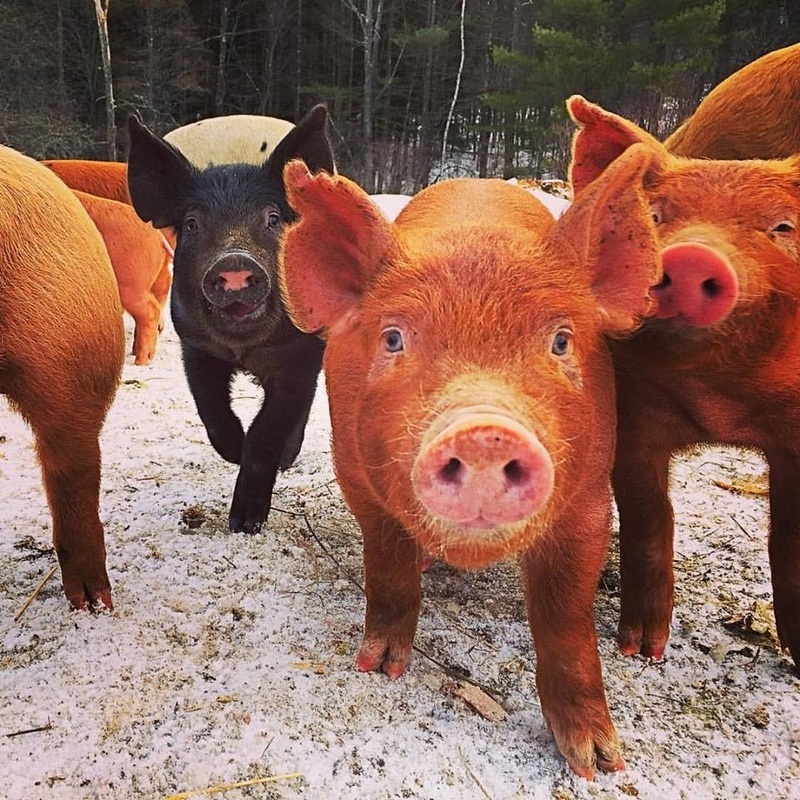 ​raised on pasture and organic grain. Shrink packed and ready for the freezer. Chickens avg. 4-5.5 pounds each. Order early in 2018 for our succulent pasture-raised, GMO free Thanksgiving turkeys. We only raise 100 or fewer! ​Limited availability; call or email to reserve! We have a small amount of delicious grass-fed lamb and mutton available each year. We take very little to the farmers market, but if you contact the farm with requests we can help you out! Our Jacob Sheep spend their whole lives on the pastures surrounding the farm. A Taste of the Farm: A 20-lb. collection of our pastured meats including chicken, pork, beef and lamb. BBQ Combo: An 8-lb. variety of great grilling meats include beef burgers and sausage, pork spare ribs, and loin pork chops. 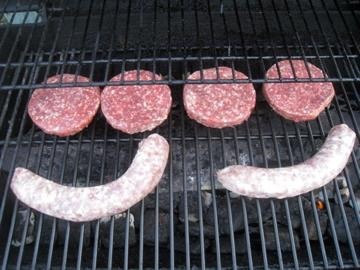 Mini Sausage Sampler: An assortment of three of our favorite sausage varieties. Around-the-World Sausage Sampler: A taste of all of our sausages including Sweet Italian, Hot Italian, Garlic Parmesan, Smoked Polish Kielbasa, Chorizo, Beer Bratwurst, Vermont Maple andAmerican Breakfast Sage sausages. 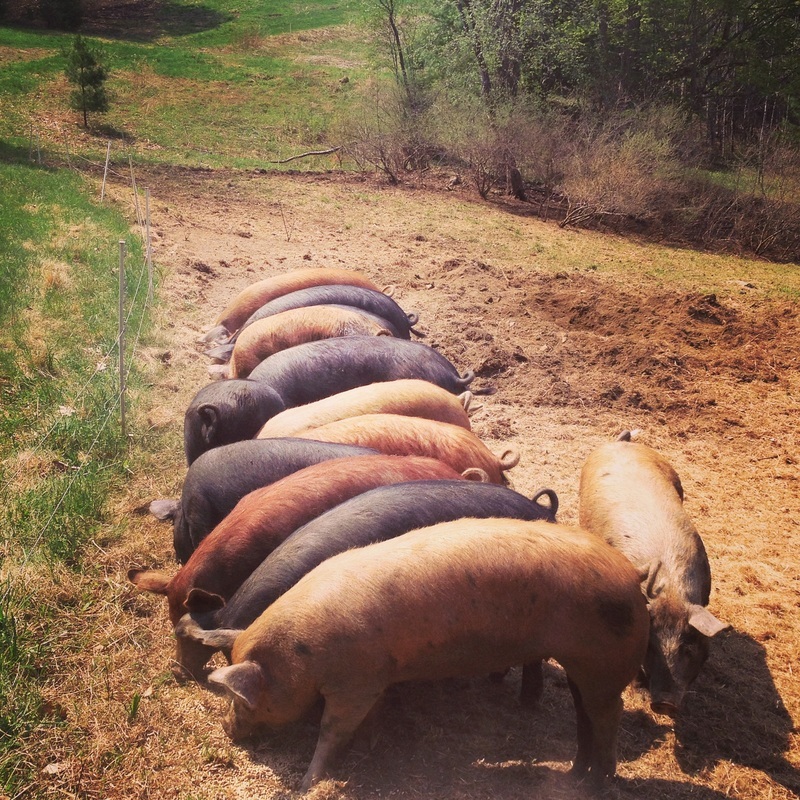 We try to breed all the pork we need on the farm, so we have sows and boars at all times. Some of our animals are registered heritage Tamworth and Large Black. If you are interested in purchasing breeding stock for your own operation, feel free to get in touch - we might just have what you're looking for! We also occasionally have feeder piglets for sale. We won't sell something that isn't on the ground yet, but if we have it and don't need it ourselves, it's for sale. We don't advertise feeder piglets, so if you're looking for some you'll have to get in touch! Our Jacobs are all bred on farm. 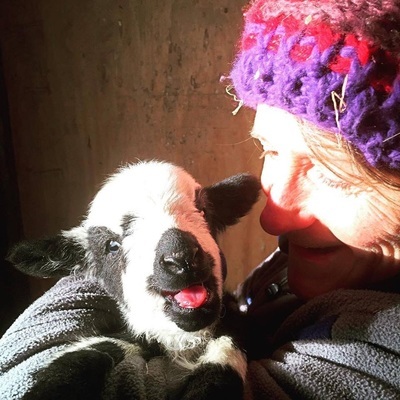 We usually have a ram, although not always, and we only keep the best of our ewe lambs from each year to contribute the future of the flock. We do our best to uphold breed standards, but finding new genetics in this breed can be tough! If you're looking for Jacob breeding stock, our flock is small, but we might be able to help you out. Call or email to find out more!